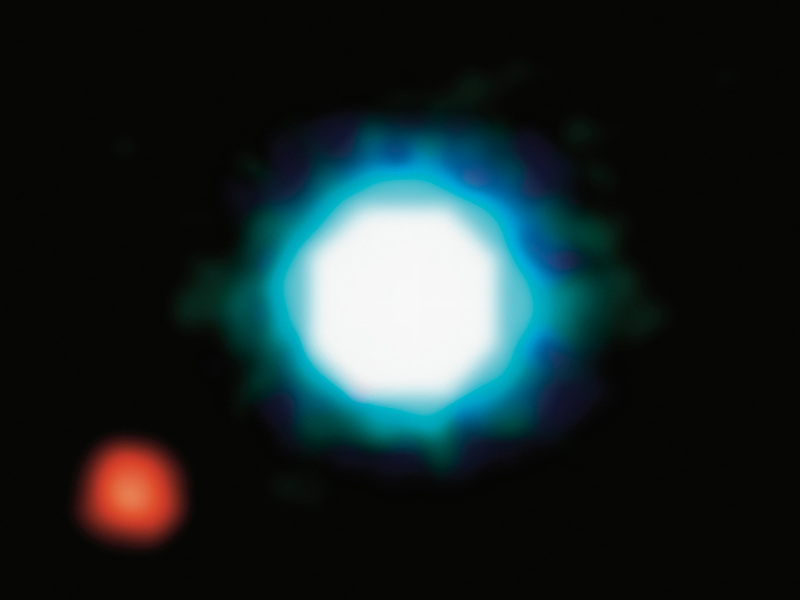 This composite image shows an exoplanet (the red spot on the lower left), orbiting the brown dwarf 2M1207 (centre). 2M1207b is the first exoplanet directly imaged and the first discovered orbiting a brown dwarf (see the press release). 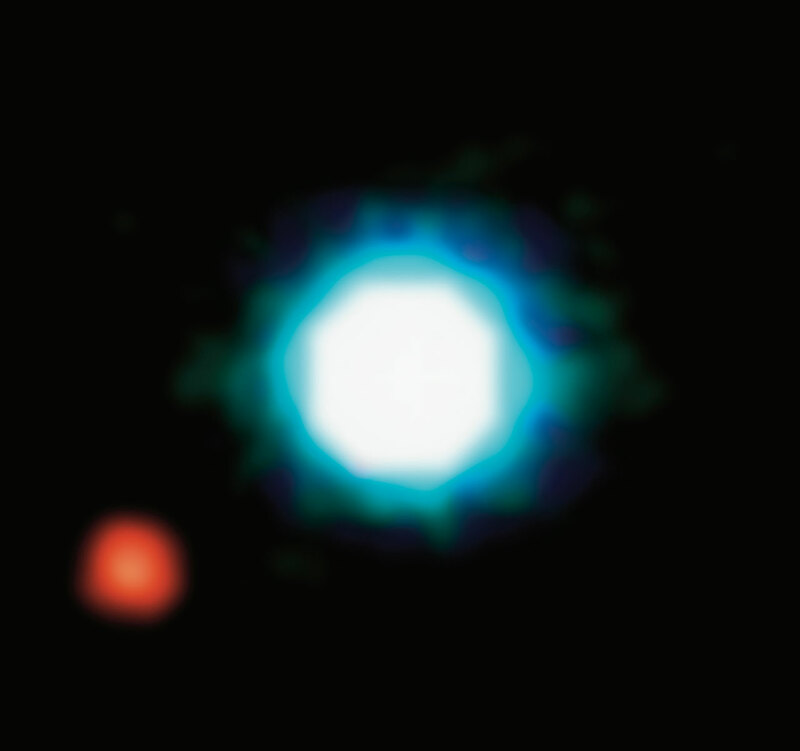 It was imaged the first time by the VLT in 2004. Its planetary identity and characteristics were confirmed after one year of observations in 2005. 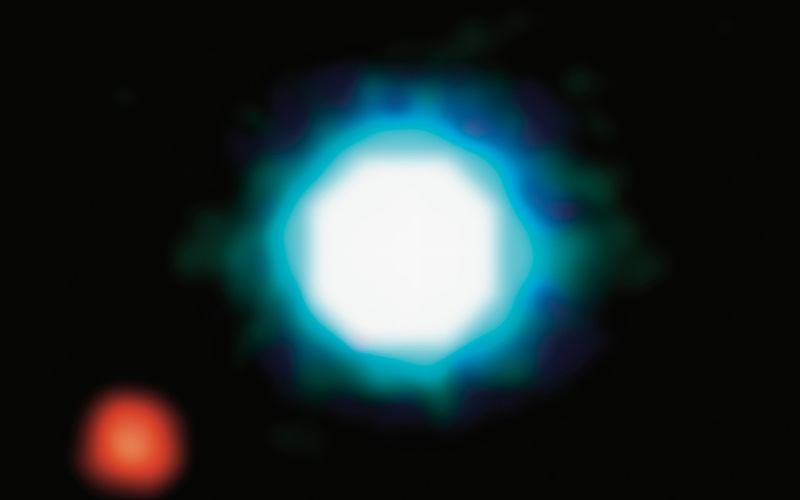 2M1207b is a Jupiter-like planet, 5 times more massive than Jupiter. It orbits the brown dwarf at a distance 55 times larger than the Earth to the Sun, nearly twice as far as Neptune is from the Sun. The system 2M1207 lies at a distance of 230 light-years, in the constellation of Hydra. The photo is based on three near-infrared exposures (in the H, K and L wavebands) with the NACO adaptive-optics facility at the 8.2-m VLT Yepun telescope at the ESO Paranal Observatory.